Too Much Fun For The Poore Family!! Posted in Fishing Charter Pictures	| Comments Off on Too Much Fun For The Poore Family!! Mom Caught the Biggest, the Kids Caught the Most!! A heck of a day for the Patches family!! Posted in Fishing Charter Recent Posts	| Comments Off on Mom Caught the Biggest, the Kids Caught the Most!! These ladies/girls could straight put it to the fish! Lots of fun and even took time to cool off with a swim at the tip of the Cape! Posted in Fishing Charter Pictures	| Comments Off on A Ladies Afternoon!! It was a lot of fun having the Roberson’s from Alabama today!! Posted in Fishing Charter Recent Posts	| Comments Off on Roberson Family Day Fun!! Very Fun Day Out Of Cape San Blas! I had some very fun clients today of all ages catching a variety of fish! Posted in Fishing Charter Recent Posts	| Comments Off on Very Fun Day Out Of Cape San Blas! A Fine Day on St Joe Bay!! St Joe Bay was good to us today! Posted in Fishing Charter Recent Posts	| Comments Off on A Fine Day on St Joe Bay!! Big Fun The Past Few Days! Big sharks, big trout and big reds equals big time fun!!! Posted in Fishing Charter Recent Posts	| Comments Off on Big Fun The Past Few Days! Inshore Slam – Huge Trout for Laura and Bruce!! Laura and Bruce were back this year for some very large speckled trout and got the inshore slam with some flounder and a big redfish!!! Posted in Fishing Charter Recent Posts	| Comments Off on Inshore Slam – Huge Trout for Laura and Bruce!! Derek, Cole and Brent from Georgia were a lot of fun to have on the boat today! They caught a nice mess of speckled trout and redfish!! 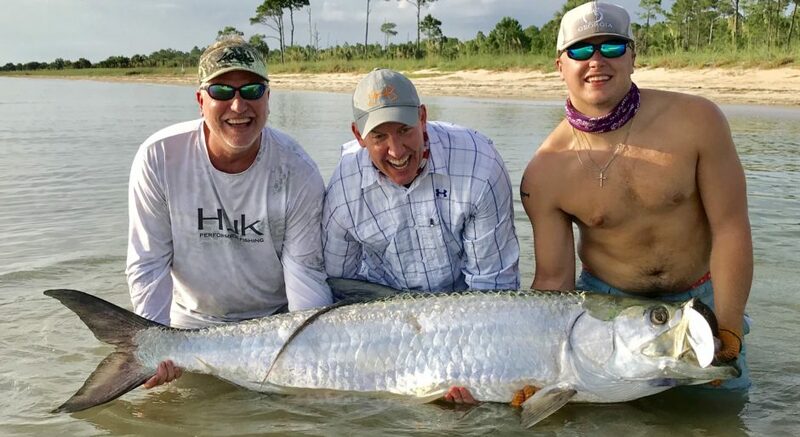 Posted in Fishing Charter Recent Posts	| Comments Off on Georgia Came Calling! Kids, Moms, Grandpas – Memories!! A mixed bag of family memory photos from the last couple days! Posted in Fishing Charter Recent Posts	| Comments Off on Kids, Moms, Grandpas – Memories! !